First, he is speaking to the Israelites who YHWH had led out of slavery and captivity in Egypt through Moses in 1446 BC. Israel never existed as a nation until the Lord used Moses to bring them out of Egypt and into Canaan to fulfill His promise to Abraham. The line of national prophets only began with Moses, so how could Allah say to them, "Remember... when He made Prophets among you?" There had never been any prophets among them until Moses. So that is Quranic error Number One in this ayah. The second problem is this: we know that Allah is talking about a past event because he had told them to remember when he "made them kings." No one can be asked to remember an event that has not happened yet. Remember that Moses died in 1406 BC. And that Saul was anointed the first king of Israel by the prophet Samuel in 1043 BC. David took the throne as Israel's second king at Saul's death in 1010 BC. 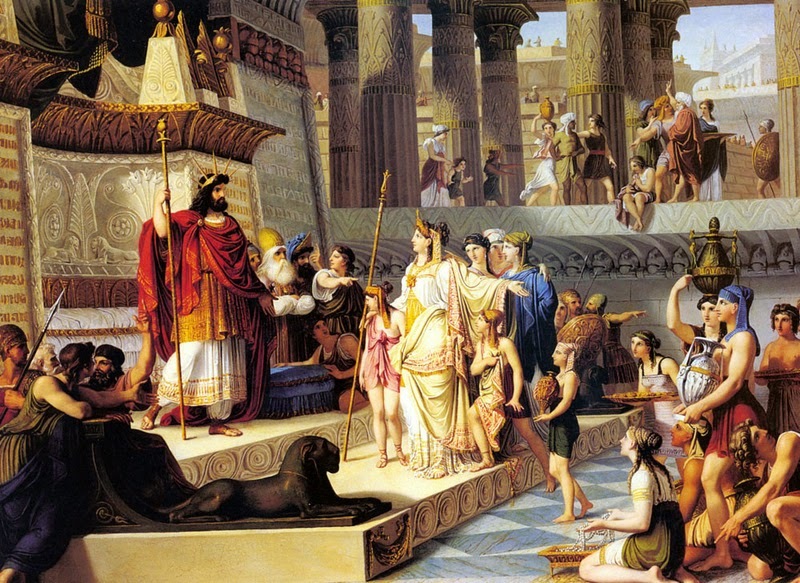 Solomon was made Israel's third king at the death of David in 970 BC. So Israel did not have any kings at all until 1043 BC. 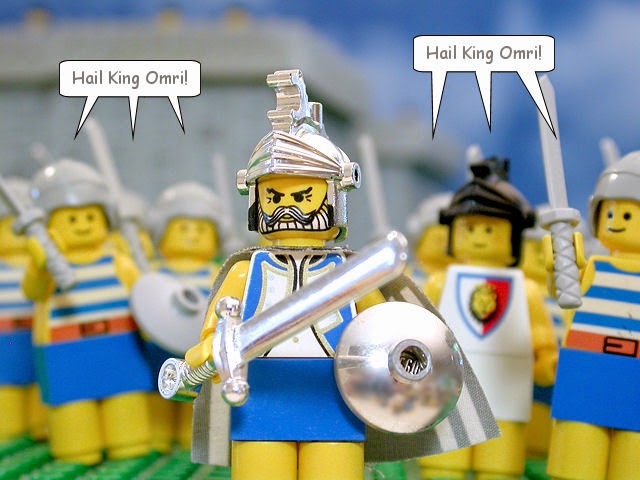 Even assuming that Allah had told Moses that he had "made them kings" just before Moses' death in 1406 BC, it would be another 363 years before Israel actually had their first king. So why does Muhammad say that Allah had already made kings out of the Israelites, even though they had yet to conquer any land at all? What were they kings of, exactly? Even worse, Allah (or Muhammad) said that the Israelites had been made kings in the past when, in truth, they had just spent 215 years in Egypt, with a large chunk of that time in slavery to the Egyptians. How could they have been kings while being slaves to the Egyptians? Clearly, Muhammad got the story wrong once again. 5:20 And (remember) when Moses said unto his people: O my people! Remember Allah's favour unto you, how He placed among you prophets, and He made you kings, and gave you that (which) He gave not to any (other) of (His) creatures. 5:20 Remember Moses said to his people: "O my people! Call in remembrance the favour of God unto you, when He produced prophets among you, made you kings, and gave you what He had not given to any other among the peoples. But there is one more problem. The statement is, "Allah has made you kings." Not "Allah gave you kings," but "made you kings." This means that all of Israel had been made kings. In the previous phrase, Allah said he had made prophets among them, meaning that some had been made prophets, but not all of them. But Allah doesn't use "among you" in this phrase. He only says, "I made you kings." Had he chosen to use the word "gave" instead, as in "I gave you kings," then Islam would not have a problem. But he did not, so we are left with what he did say, which is the erroneous claim that he made all Israelites kings. This, too, never happened. The reason being that no nation would survive very long if every citizen was king. But it seems that never occurred to Allah. How could Allah and Muhammad have made all these historical and logical errors... and in a single verse? Here's hoping and praying that Muslims will start asking the questions that need to be asked about their Quran. Jews and Christians have been doing it with their Bible for millennia. It's not just time for Muslims to do the same with their text, it's way overdue!